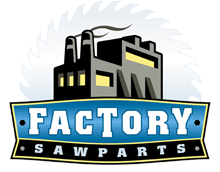 Factory Saw Parts is located in Rochester, MN and is in business for the sole purpose of permanently reducing your operating costs of the Servo and Auto Omni saws’ by greatly improving the maintenance of your saw’s key parts. By replacing “old style” components that are difficult and time consuming to maintain, with maintenance-free, updated parts that last considerably longer than their predecessors, we are all about reducing the frequency of expensive service and increasing the longevity of your saw’s existing parts. Factory saw Parts has been in business since 2008 and we pride ourselves on our history of engineering the best and most innovative products available on the market today. The only company developing new parts for your Omni saw, Factory Saw Parts looks forward to partnering with you to continue making your Omni Saw relevant for the next decade and beyond. By doing business with us you can rest easy knowing that we will continue to strive in designing the best, most innovative products available anywhere. Not only will our parts reduce maintenance, but they are designed with keeping recalibration service to a minimum, thus allowing your saw to do the very thing it’s designed to- cut trusses.